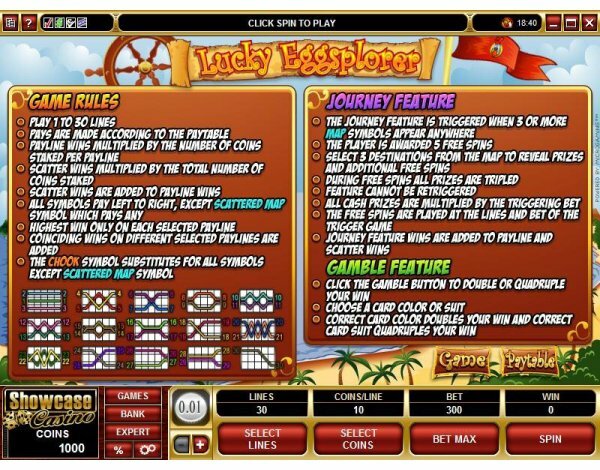 Overview: April 2009: NEW! 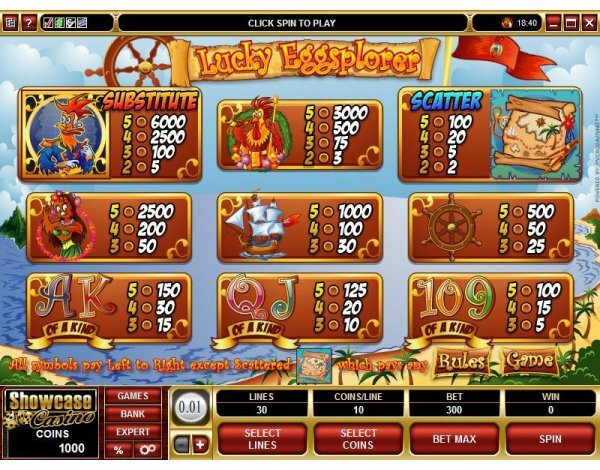 Players have the chance to sail the seven seas in an eggcellent eggsploring eggspedition aboard the good ship Endfeather with Captain Chook at the helm in the new 5 reel, 30 pay-line video slot LUCKY EGGSPLORER. 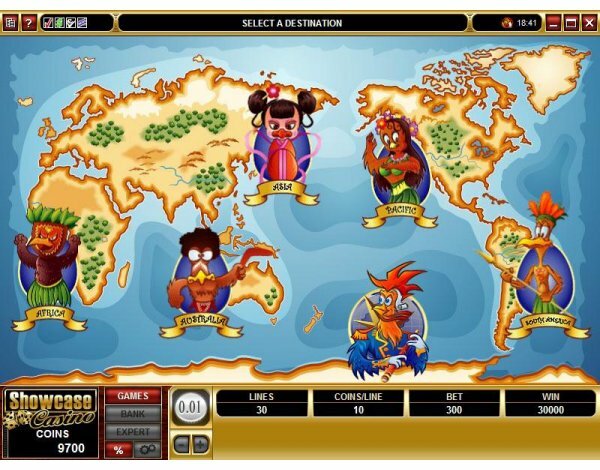 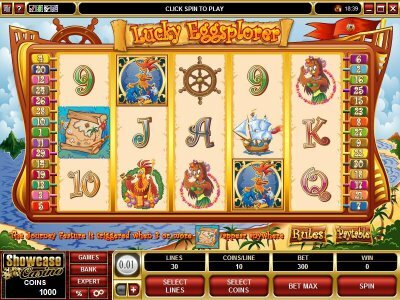 The amusing cartoon-style theme on this new rich-featured game is based on the exploratory voyages of a rooster named Chook, through whom players search for winning Scatter and Wild combinations and rewards that include multipliers, free spins, an absorbing bonus trail and a gamble feature that can double or quadruple wins. 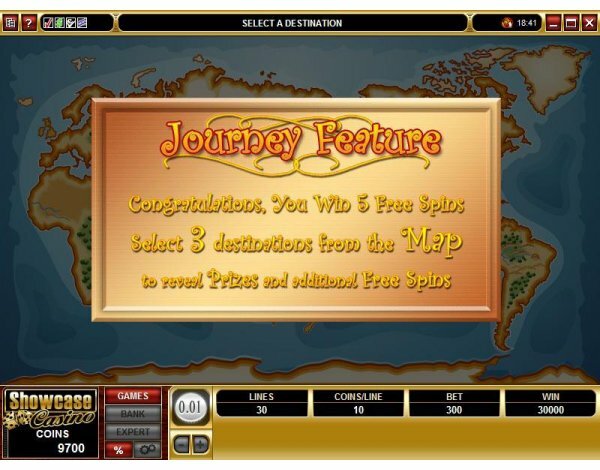 Appropriately, it is the treasure map symbol that can trigger the bonus journey feature, where the immediate award of 5 free spins with a 3x multiplier is boosted by a selection of 3 out of five comical destinations on the treasure map, each with a hidden reward and the possibility of additional free spins. 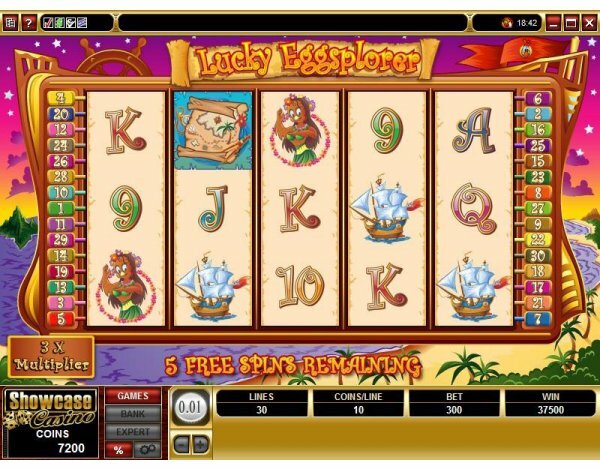 Similar Slots: If you like Lucky Eggsplorer, you might like these other 5-reel slot machines: Chocolate Factory, Lifes a Beach, Magic Multiplier, Robot Butler, The Argyle Open, What on Earth.